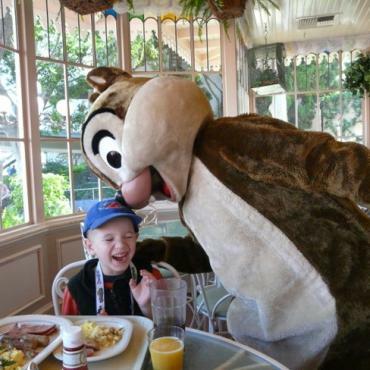 Storyteller's Cafe at Disney's Grand Californian Hotel. 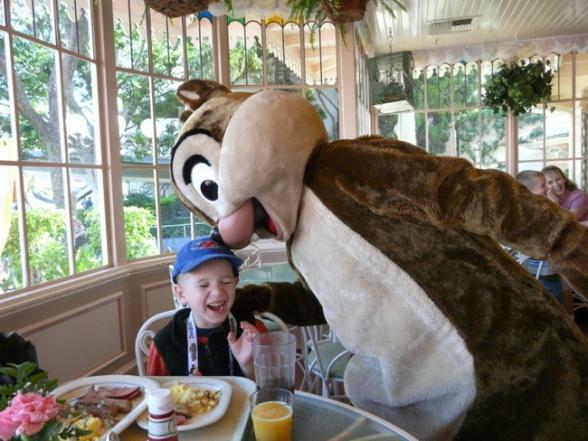 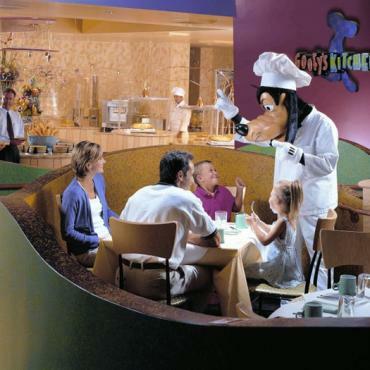 Character Dinner can be taken at Goofy's Kitchen, at the Disneyland Hotel. 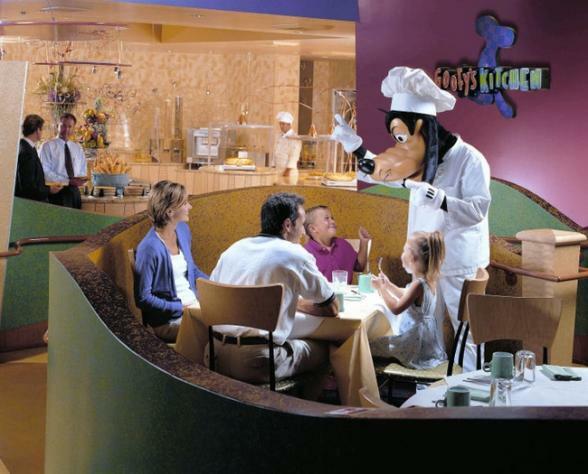 Dinner is served from 5pm till 9pm.